A patio is an essential part of any outdoor living space. It can function like another room in your home, giving you a place to relax and enjoy time spent outdoors with family and friends. A well-constructed patio is also a smart and economical way to add value to your property. 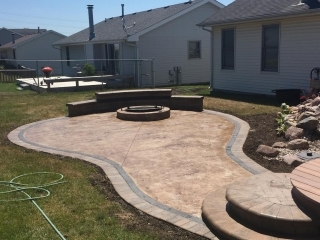 No matter what space you have to work with or which features you’d like to include, we’re confident that we can design the perfect Rockford patio for you. 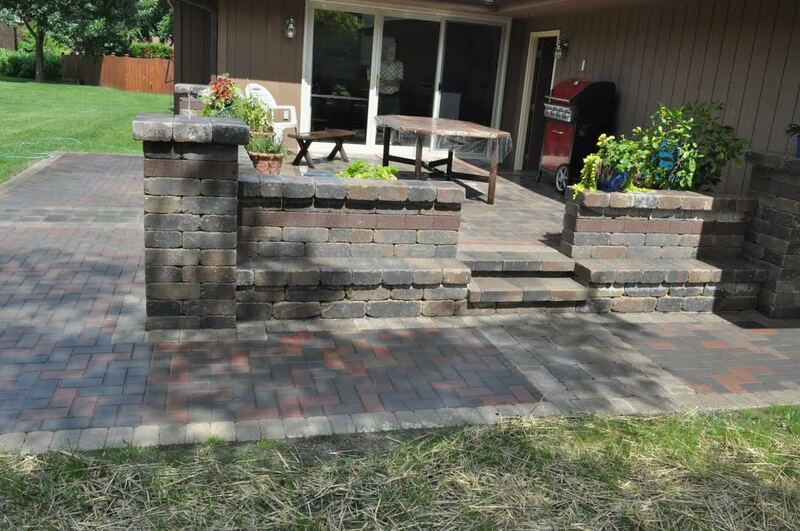 We provide endless options for creating a Rockford patio that fits your needs. We offer a large selection of materials for constructing patio surfaces, including stamped concrete, natural stone, and brick pavers. 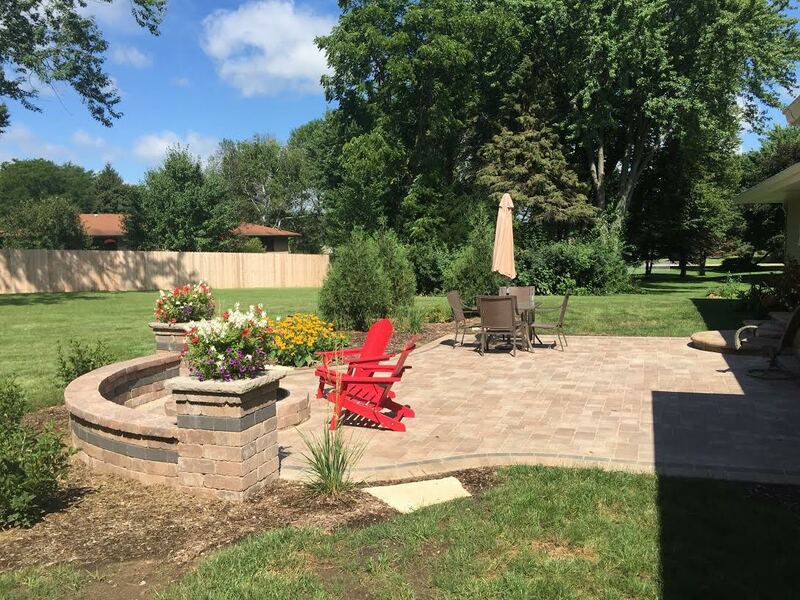 If you’d like an elaborate design for your Rockford patio surface, brick pavers and stamped concrete can be used to create almost any shape or pattern. If you’re looking for something a bit simpler that’s still attractive and durable, poured concrete is an excellent choice. Once we’ve got the surface down, there’s no limit to the features we can add to your Rockford patio. A seat wall around part or all of the patio can provide convenient additional seating for your guests. A full outdoor kitchen in your patio can allow you to cook entire meals without ever having to go inside. 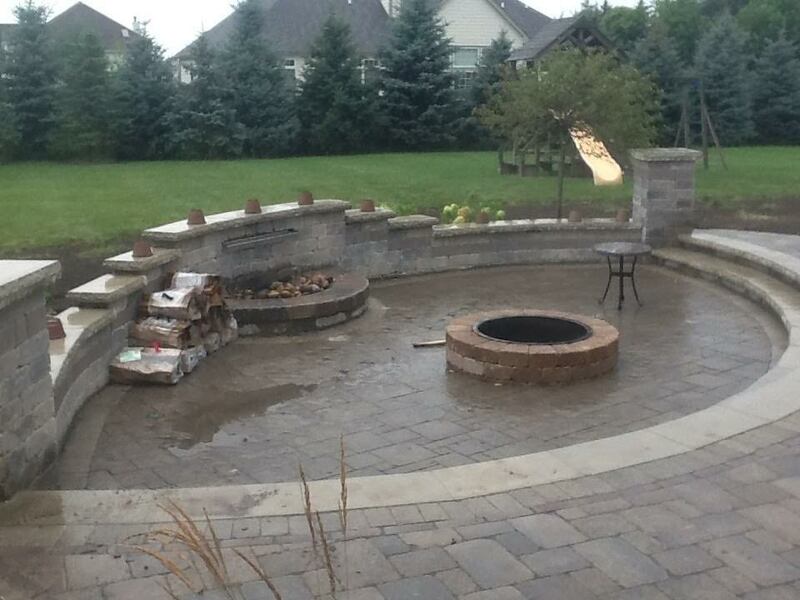 We can even add a fireplace or stone fire pit to your patio. Whatever you have in mind for your outdoor living space, we can build it. Walkways are another popular hardscaping feature. A walkway can unify the hardscape and landscape elements in your yard, giving visual flow to your landscape design. Walkways also make it easier to move around your yard, giving you a way to avoid muddy or wet conditions while gardening or doing other outdoor activities. We can create walkways of all shapes and sizes, in any pattern or material that you would like. Consider how a stamped concrete, natural stone, or brick paver walkway could improve your home landscape.